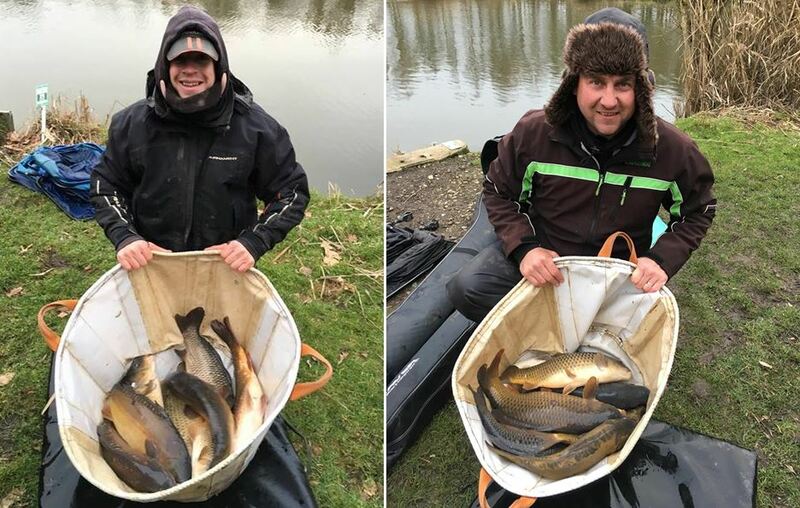 This week’s Winter Qualifier was attended by 23 anglers, who were split between Magpie and Raven Lakes, with 11 on Magpie and the remaining 12 on Raven. With the field being split, our now standard Continental payout was in place to ensure a fare payout on the day. With just 8 places for the final still up for grabs, the quest for the remaining places has become very competitive over the past few weeks. Magpie produced a very closely competed match with several 50lbs + weights coming from all over the lake, with many of the normal flyers not producing to the usual standard. Taking full advantage of this, Adam Playford on peg 21 struggled early on but the fish showed up in the later stages of the match to put 76lbs 06ozs on the scales for the lake win, with maggot over pellet being the winning formula. Second place went to Simon Skelton on peg 34 with 63lbs 14ozs, with Dave Pearce Snr taking third on the lake with 56lbs02ozs. Raven produced a match of two halves, with the majority of the field struggling for bites in the first couple of hours but this changed in the latter stages of the match, with all but a few finding decent sport on a very demanding day. 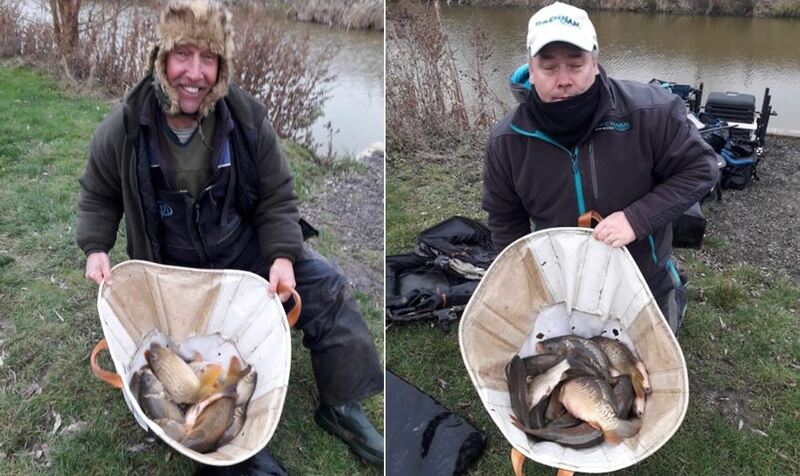 Raven was won by Rob Heaton on peg 22 who weighed in 34lbs 08ozs of carp and f1’s all caught on maggot over pellet. Second on the lake went to Jason (Flipflop) Fulcher on peg 15 with24lbs 10ozs, with third place going to Nigel Fawkes on peg 28 with 22lbs 05ozs.